Get involved! Join the club! Get ready for Easter with our easy and delicious hot cross buns, Easter cookies, cupcakes & more, all with one key ingredient - your trusty baking partner Camp Coffee! 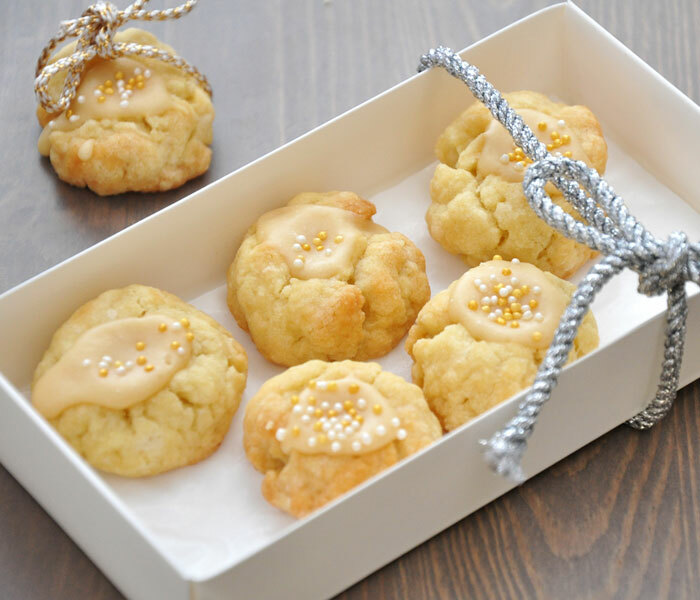 Keep the kids entertained by rolling the cookie dough into balls and thumbprinting. 1. 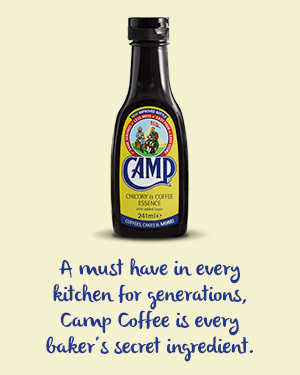 Beat the Camp Coffee, butter and sugar together until light and fluffy. Add the flour and mix until it’s all combined. Cover the bowl with cling film and chill in the fridge for 30 minutes. 2. Heat oven to 170˚C / 325˚F / gas mark 3. Line a baking sheet with parchment paper. 3. Roll a heaped tablespoon of dough into a ball and place it on the prepared baking sheet. Repeat with the remaining dough, spacing the balls about 5 cm (2in) apart. 4. Using your thumb, make an indentation in the centre of each cookie. 5. Bake the cookies for 10 minutes, or until slightly firm. 6. Using a spoon, press into each of the cookies again. This is where the icing will sit. 7. Return the cookies to the oven and bake for 8 to 10 minutes, or until golden brown. Move the cookies to a wire rack and allow to cool completely before icing. 8. To make the icing, whisk the Camp Coffee and icing sugar together in a bowl. Add the milk a little at a time, until you get a smooth consistency. Fill the centres with the icing and leave to set. 9. Note - Cookies can be stored in airtight containers for up to 1 week. For more recipe inspiration and baking chat, or to share your own recipes, drop in to the Facebook Camp Coffee Club today! Available from most major supermarkets. Copyright © 2016. McCormick [UK] Ltd. All Rights Reserved.